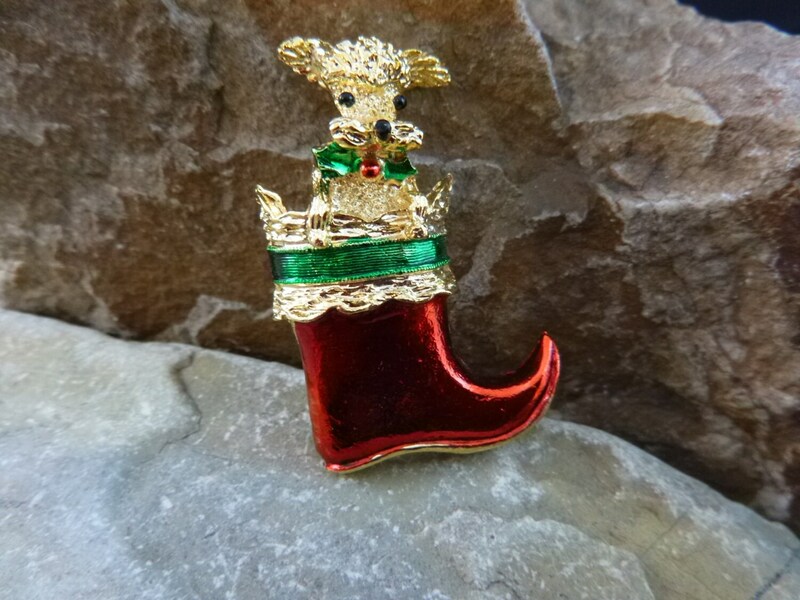 This cute Christmas puppy is featured in Christmas Jewelry, Revised 3rd Edition, by Mary Morrison (page 139). At the time of publication in 2009, the author placed the value in the $15-45 range. 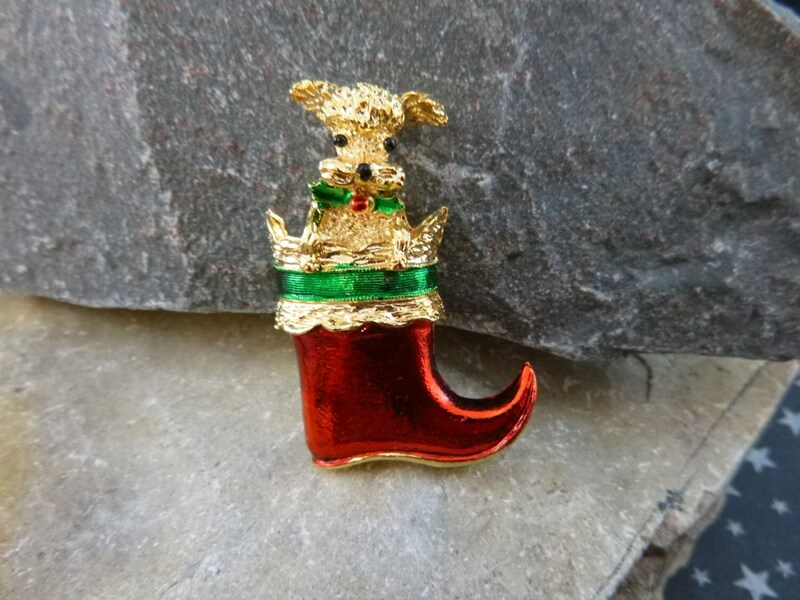 The maker’s mark on this festive brooch is Gerry’s ©, a hallmark for Gerry’s Creations, a company started in the l950’s by Geraldine Giles. It ceased operations in 2001. 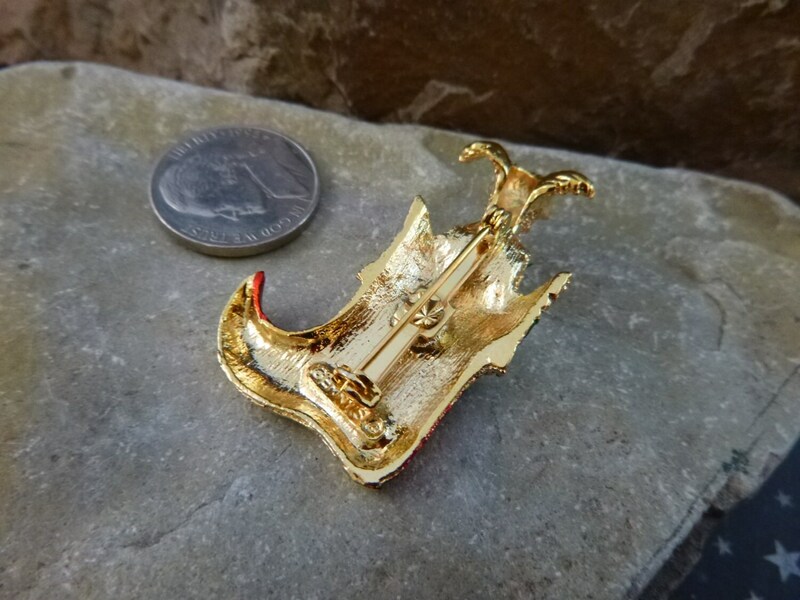 This cute poodle pin is set in a gold tone metal and is in very good to excellent vintage condition, showing little, if any, wear. 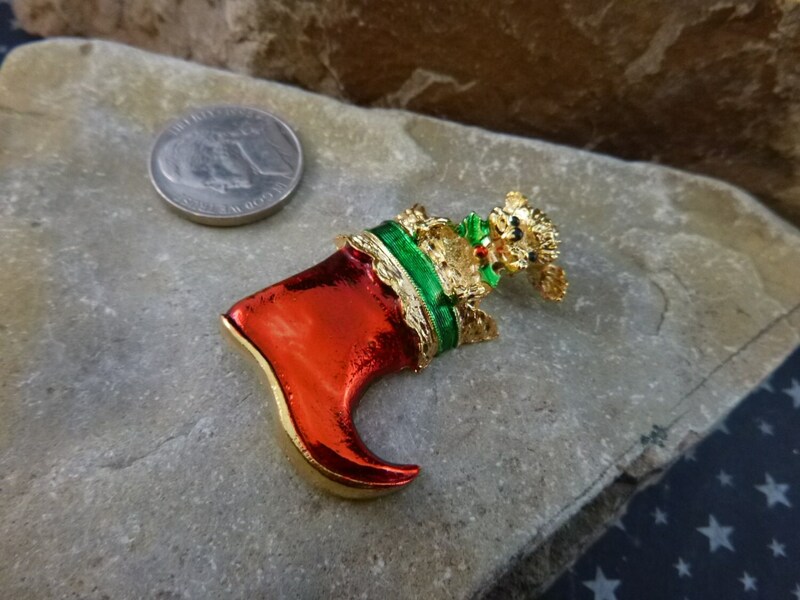 The clasp and pin are strong and secure; the red and green colors bright. 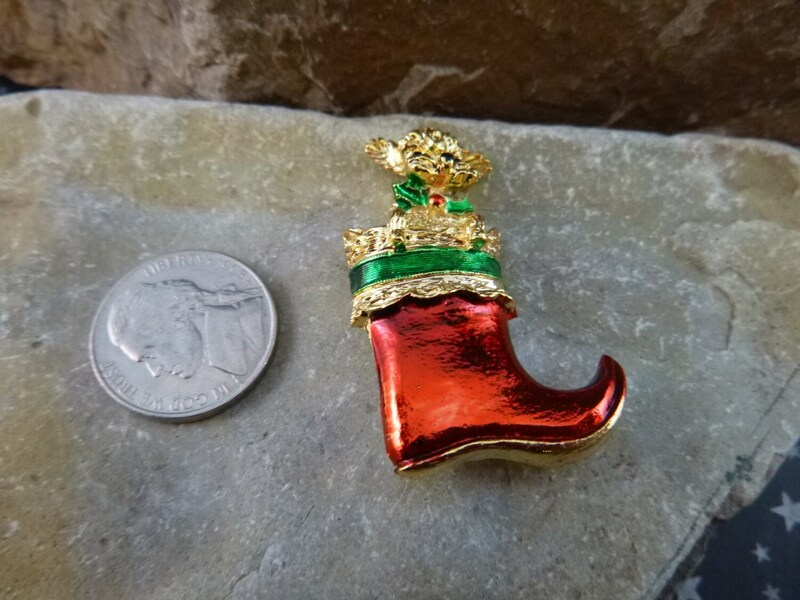 Measuring just 1 5/8” this small pin has a fun holiday nature, perfect for any Christmas lover. The pictures offer greater perspective on its vintage condition and whimsical charm.